A surface-mounting IP65 rated water-resistant alert point capable of generating Standard or Emergency calls on an 800 Series Call System. 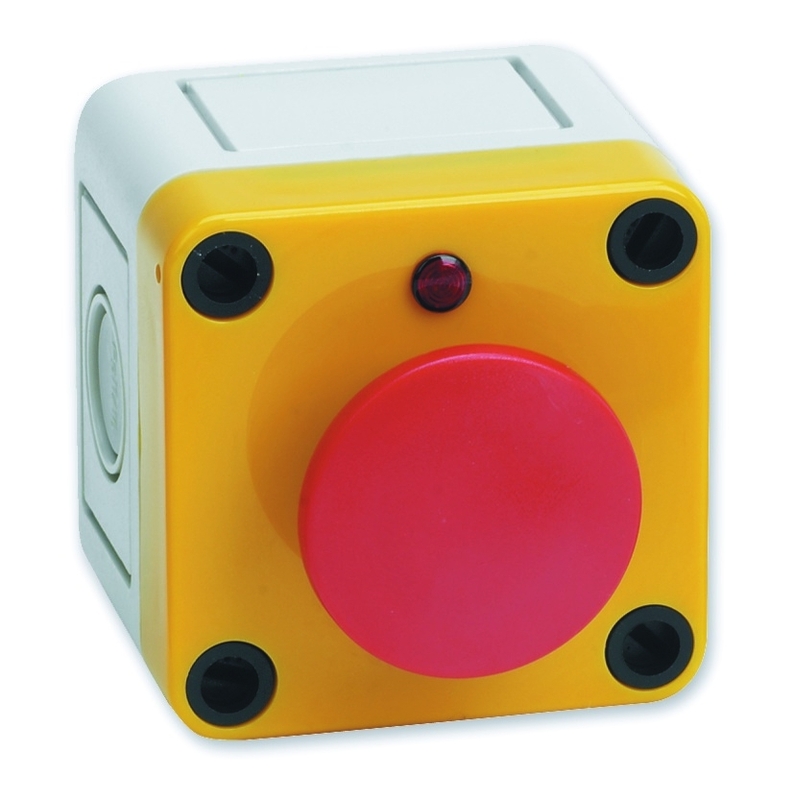 Comprises a light grey back box, yellow lid and bright red push button. Ideal for use alongside swimming pools and other 'wet' areas. Includes an onboard magnetic reset facility (requires an NC803M magnetic reset key, not supplied). Alternatively wire to a separate 800 Series reset point. Supplied with two stickers, one reading ‘Call for Assistance’ and one reading ‘Push for EMERGENCY’. 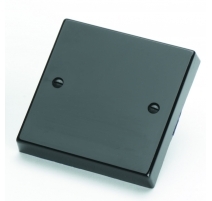 Slave IP65 water-resistant alert points (NC802DEWS) and IP69K sauna alert points (NC802DESS) also available. Indicators Red Reassurance LED (lit constant for Standard calls, intermittently for Emergency calls). 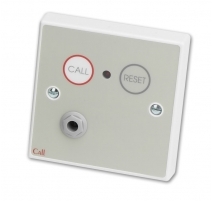 Controls Red Alert button (generates Standard or Emergency calls depending on the wiring configuration used); Magnetic reset 'target' (cancels Standard or Emergency calls from the NC802DEWM and Standard calls from devices wired on the same Zone). Connections Yellow (Signal); Black (Negative); Red (Positive); White (Common Switch); Brown (Emergency Call trigger); Orange (Standard Call trigger); Green (Manual Reset). See instructions for details. Expansion connections Yes, for optional NC802DEWS slave water resistant alert points and remote reset points. 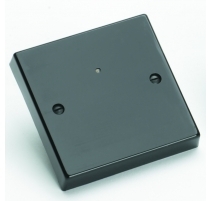 Product dimensions (mm) 65 W x 65 H x 75 D. Surface mounting. Construction & finish Polycarbonate. Red push button, yellow fascia, grey back box. Operating conditions/temperature -0ºC to +40ºC. Max. relative humidity 95% non-condensing. Product dimensions: 65 W x 65 H x 75 D mm. Surface mounting.